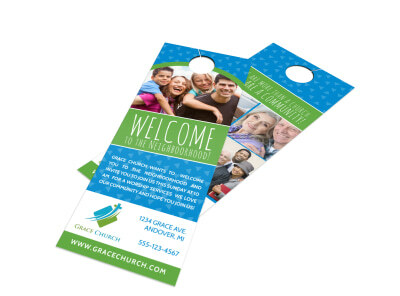 Customize our Welcome Door Hanger Template and more! Welcome potential home buyers to an open house with this customizable door hanger that you used to promote your real estate services. 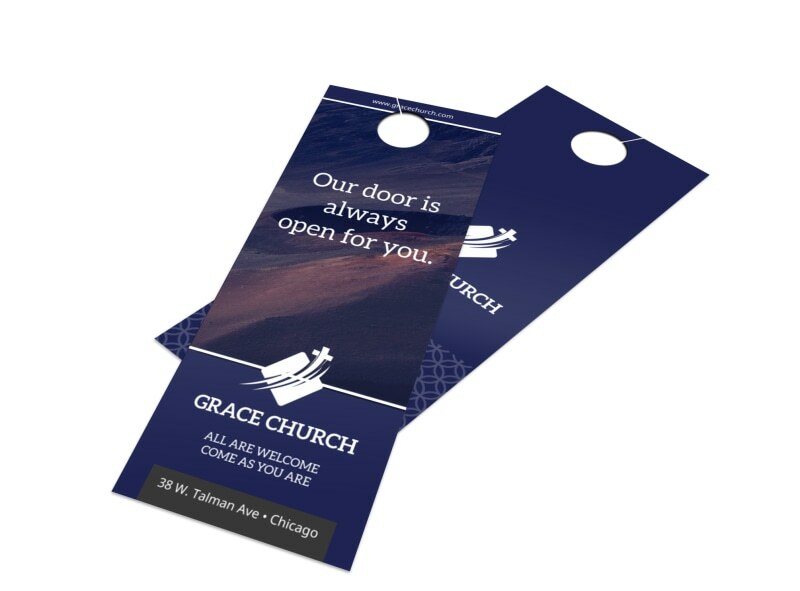 Customize with your choice of font, color and graphics. 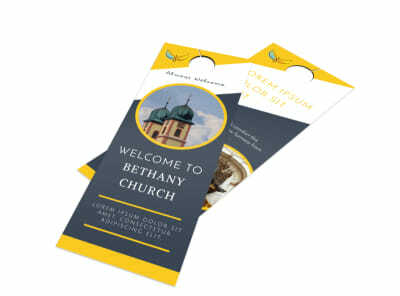 Print your door hangers from your location for instant access or let us print them for you to give them a polished finish.